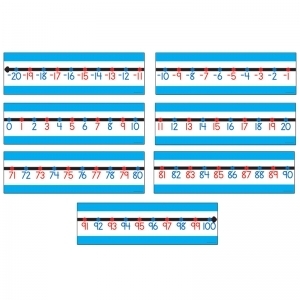 This Number Line bulletin board sets supports Common core State Standards with 14 number line strips with numbers ranging from -20 to 120. 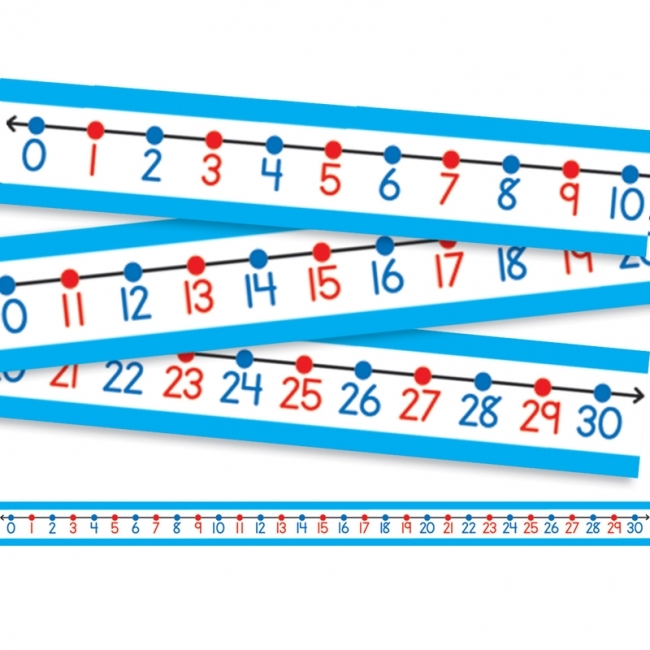 Support your students early math skills with the Classroom Number Line. 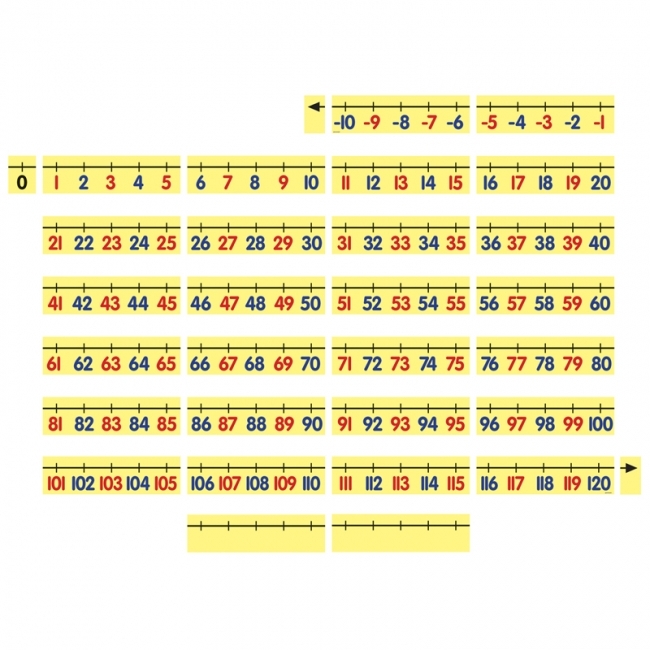 Each number line bulletin board set includes 12 pieces (22" x 6.5" each) that feature numbers from -20 to 100. The number line measures 22' long when fully assembled and is divided into sections in multiples of 10. Color-coded for even and odd numbers, this math resource features a convenient write-on/wipe-away surface, as well as a helpful resource guide. 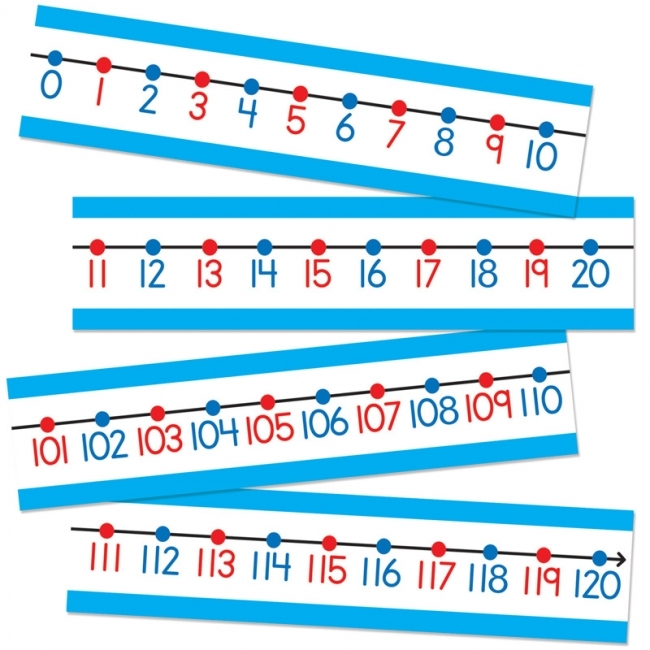 Perfect as a desk reference, these Student Number Lines help to reinforce counting and number recognition skills. 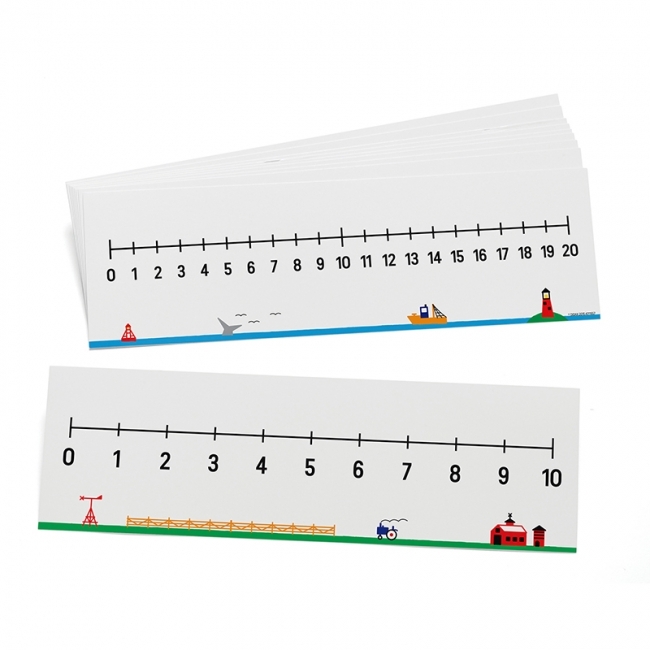 Each number line desk tape set includes 30 pieces (22" x 1.5" each) that feature numbers from 0 to 30. Color-coded for even and odd numbers, this math resource features a write-on/wipe-away surface to make it easy for students to use over and over! A resource guide is also included. Meets new Common Core State Standards! This chart is great for direct instruction or as references for students practicing this primary-grade math concept. Chart back includes reproducible activities and/or numerous creative ideas to reinforce math skills. 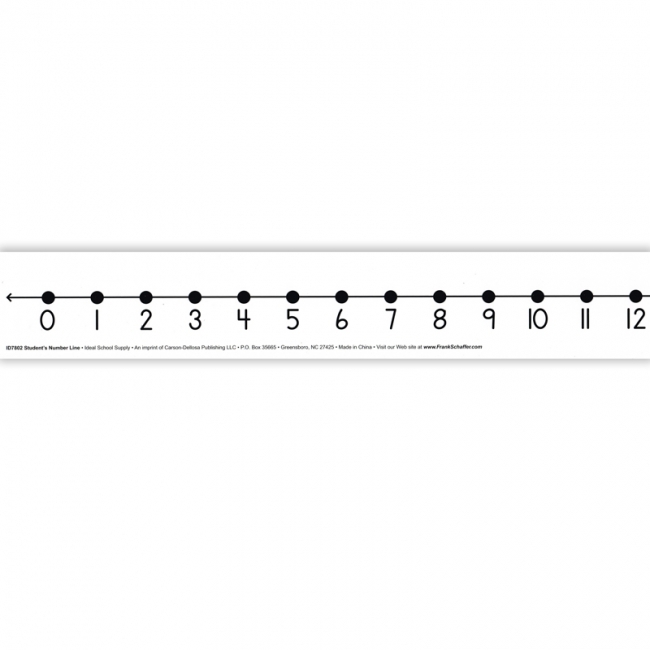 17" x 22"
Classroom Number Line features numbers Ì20 to 120. Even numbers are black and odd numbers are red. Multiples of 5 are noted with a pentagon. 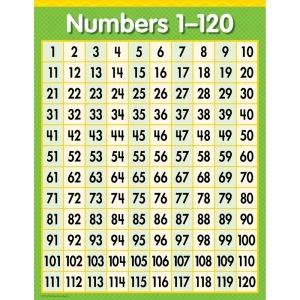 Includes number words under each number. 5.5" tall x 37 feet long. Meets the Common Core Standards. Great for skip counting. F.U.N.™ stands for Fluency & Understanding Numbers. 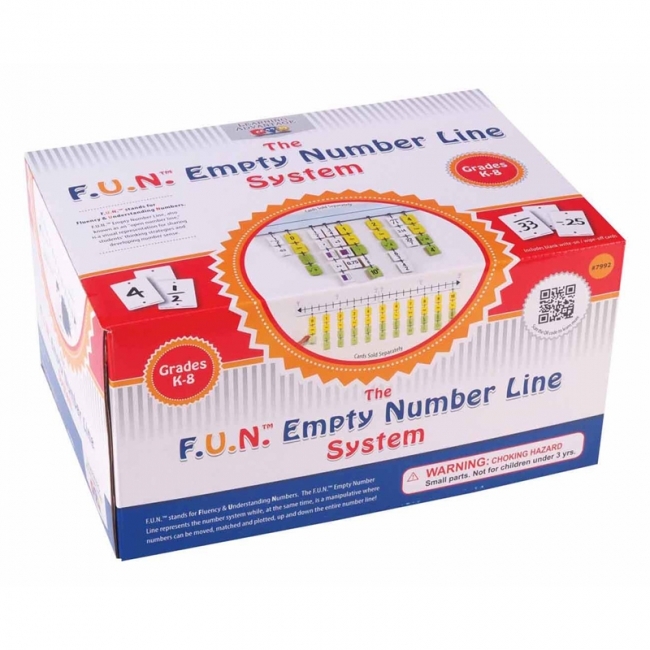 The F.U.N.™ Empty Number Line explores the extensive versatility of the number line, while incorporating a motivational manipulative aspect. 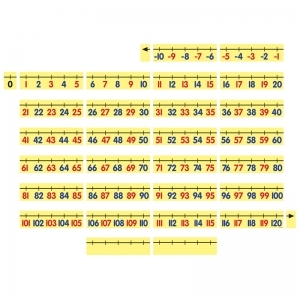 It represents the number system while, at the same time, is a manipulative where numbers can be moved, matched and plotted, up and down the entire number line. 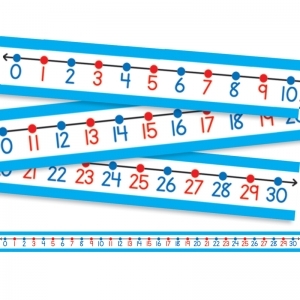 The possibilities for using the number line to identify equivalent numbers are endless, including whole numbers, fractions, decimals, and negative numbers. Grade level cards sets are sold separately. Now you can get the powerful F.U.N.™ Empty Number Lines into the hands of every student, so they can truly internalize number sense. 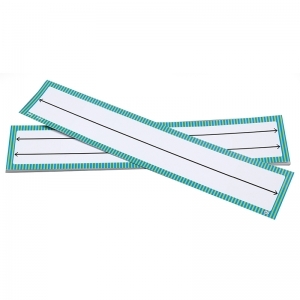 It has a double-sided, write-on/wipe-off surface so students can follow along with the teacher or use them individually or in centers. 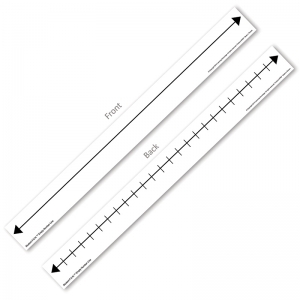 The student-sized version measures 1-3/4" x 17-1/2". Set of 10. 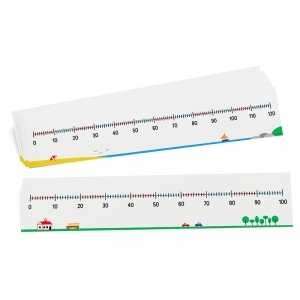 Featuring adorable art, these sets of double-sided, write-on, wipe-off number lines give your students plenty of space to practice counting, addition, subtraction, number patterns, and much more. Featuring 0-10 on one side and 0-20 on reverse. 4" x 13" each. Grades PreK-2. 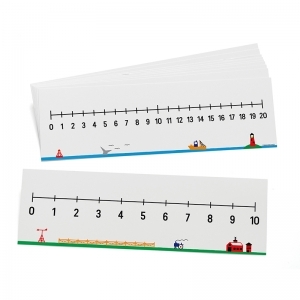 Featuring adorable art, these sets of double-sided, write-on, wipe-off number lines give your students plenty of space to practice counting, addition, subtraction, number patterns, and much more. Featuring 0-100 on one side and 0-120 on reverse. 4" x 20" each. Grades PreK-2. 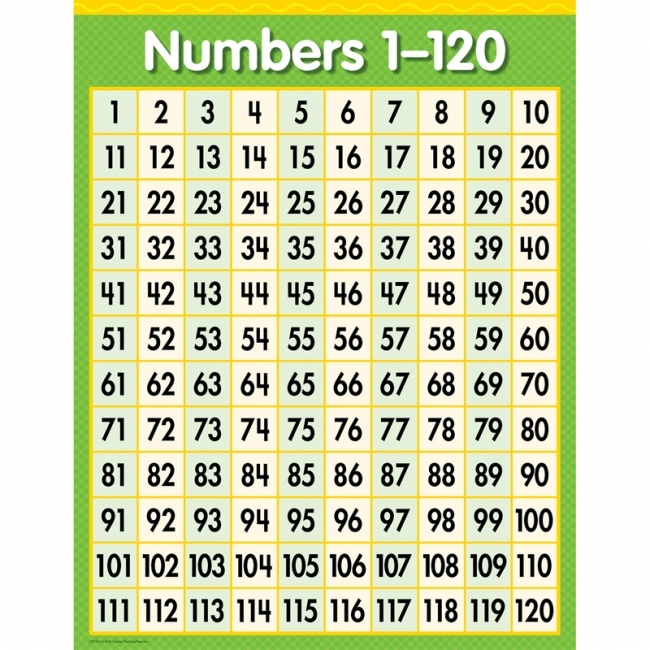 These write-on, wipe-off cards are ideal to help students solve operations, ratio, and a variety of other problems. 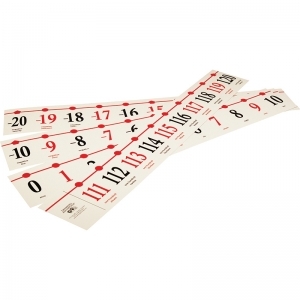 Features a single line on one side, and two number lines on reverse. Measures 4" x 20" each. Large yellow number line really pops visually on your whiteboard! 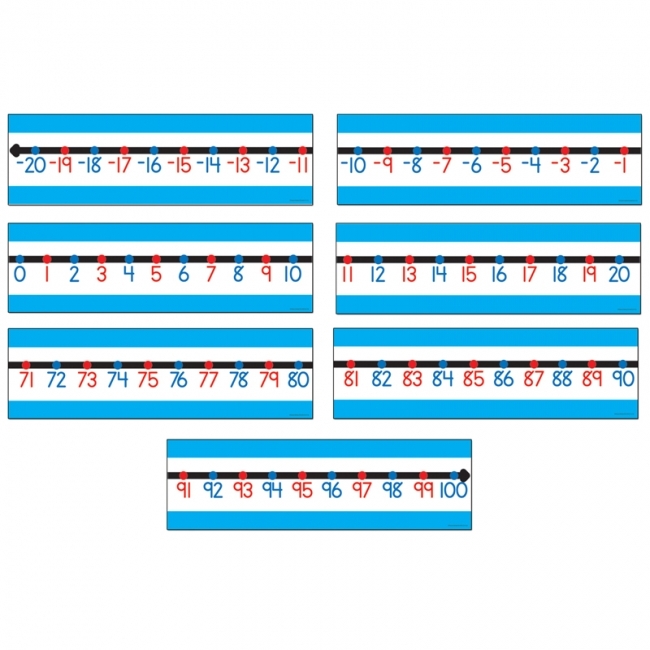 Extends from -10 to 120 to help you reinforce numbers, counting, cardinality, and operations! Features color-coded numerals that are easy to read (red odds, blue evens, and black zero). 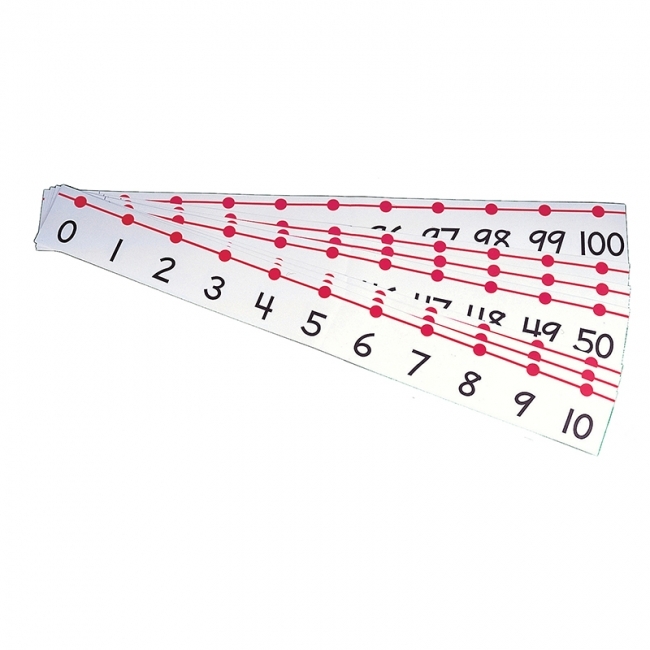 Includes number line segments printed in increments of 5, 2 blank (customizable) segments, and left and right arrows. Dry-erase surface. 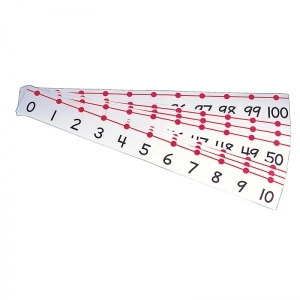 Perfect for students in kindergarten through Grade 6, these Teachers Number Lines are numbered -20 to +100, plastic-coated, and features a red-line dot pattern and black numerals. The line measures 32' x 5.75" (11m x 14.5cm). 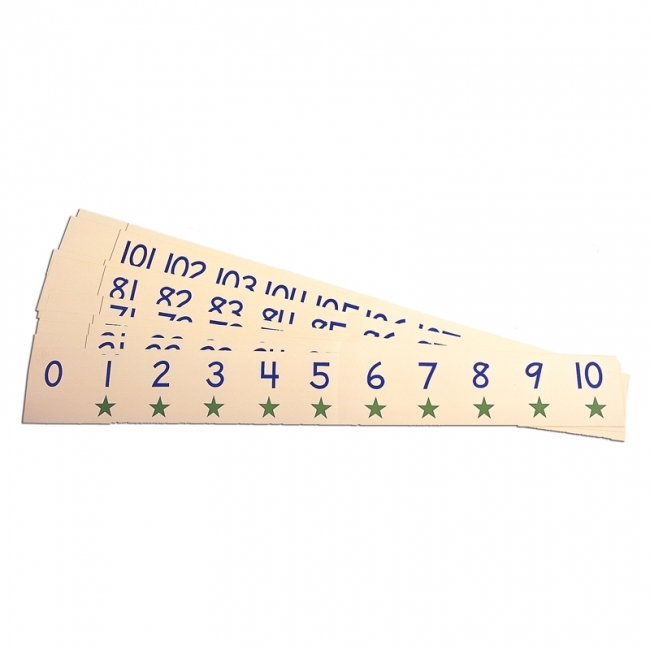 Student Number Lines are a wonderful way to teach number recognition and relationships, and these are the perfect size for students to use right at their desks. 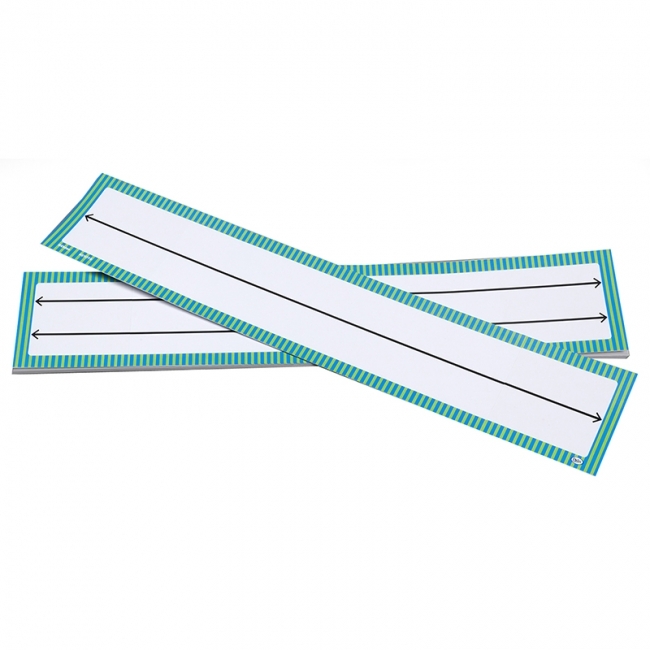 Numbered 0 to 25, use these individual write-on/wipe-off number lines with Ideal Plastic Marks crayons. 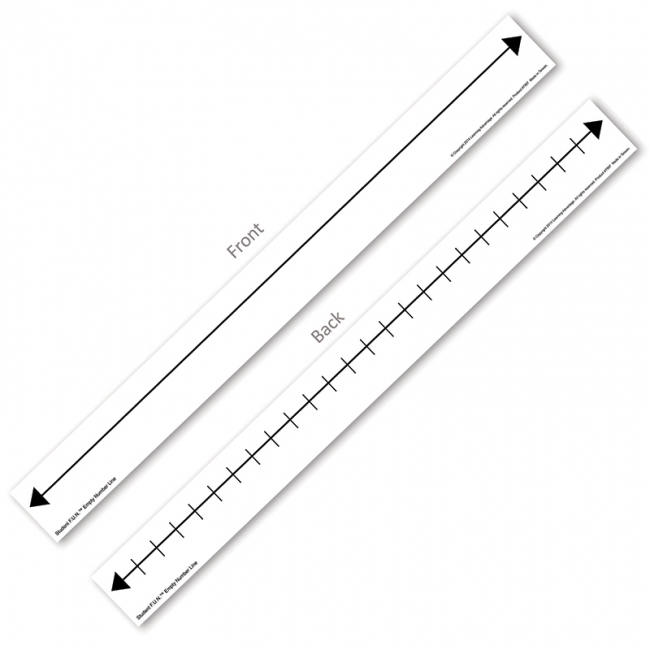 Featuring adhesive backs to easily attach to students' desks, student number lines measure 24" x 2" (61cm x 5cm) and come in a set of 12 with activity sheet. 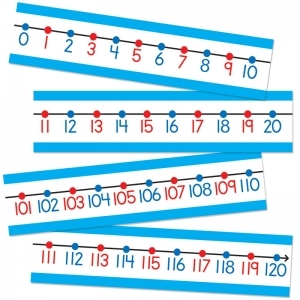 Student Number Lines provide the perfect reference tool to teach number recognition and relationships. 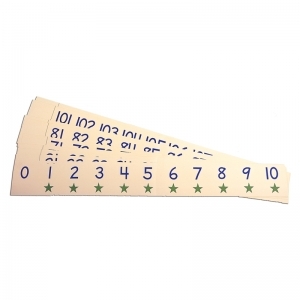 Numbered 0 to 25, use these write-on/wipe-off number lines with Ideal Plastic Marks crayons. 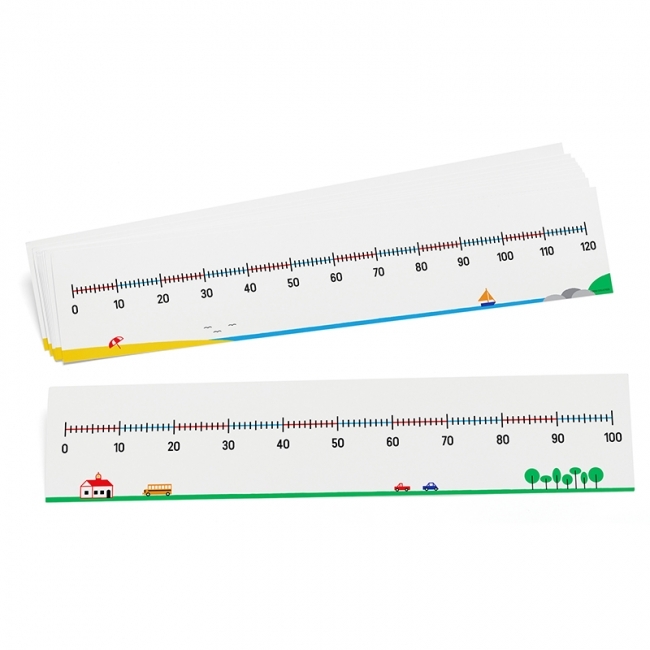 Featuring non-adhesive backs, student number lines measure 24" x 2" (61cm x 5cm) and come in a set of 12 with activity sheet. 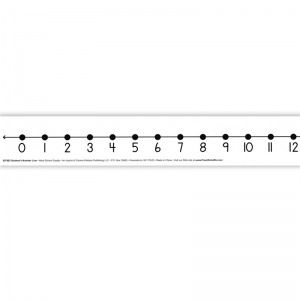 Use the Classroom Number Line to teach your students about number recognition and relationships. The perfect math reference to hang in your classroom, this number line is numbered -20 to +100 and measures 32' x 4" (11m x 10cm). Display the Classroom Number Line on your wall to help reinforce number concepts with visual learners.